There are few parts more sensitive than the peter, and when it gets cold bad things happen. Your once proud man sausage has shrunk into itself, and your self-esteem plummeted faster than the temperature. Don’t worry, the Peter Heater is here for you. 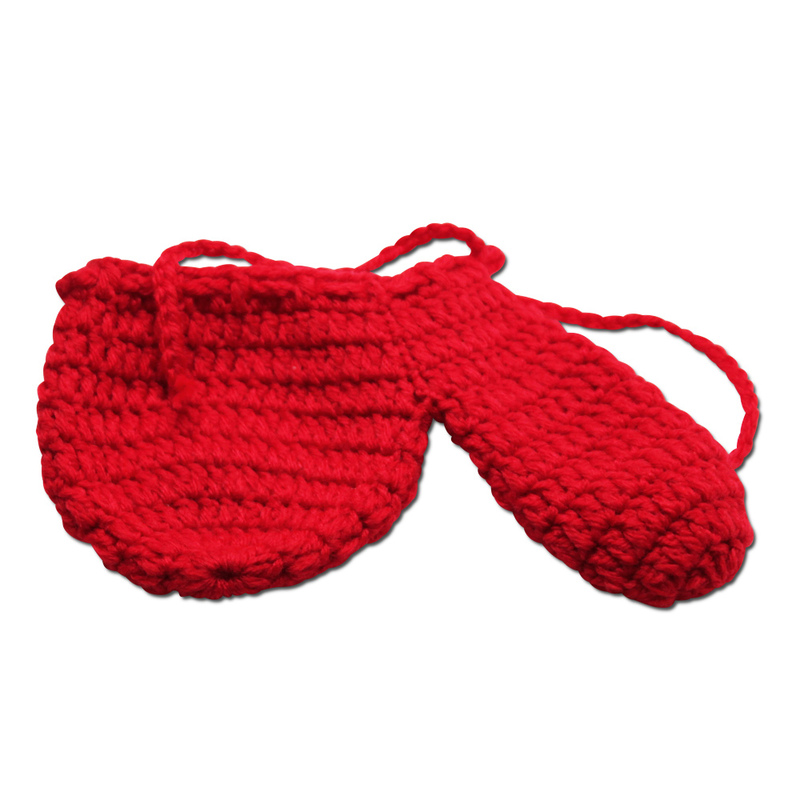 This crocheted package wrapper keeps your willy warm and ready for action. You don’t need to jump start your libido when the Peter Heater is keeping things covered. The Peter Heater has your back…and front…no matter how cold it might get. While the rest of you is shivering, your peter is standing at attention. Don’t let cold temperatures keep you from getting it on. There’s nothing worse for copulation than the icy feeling of a frozen wiener. You need to keep Captain Dangle warm, so you can keep your partner satisfied. Just wrap it up in the Peter Heater and wait until you’re called to duty. 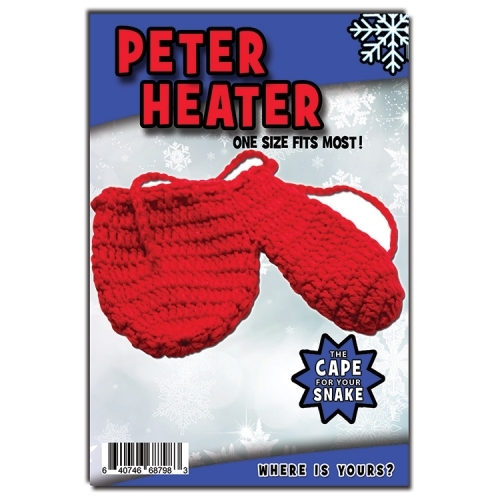 Who Would Love The Peter Heater? Do you have a friend or lover that’s hung like a tree trunk? He needs to keep that massive oak safe and warm against the bitter winds of winter. He’ll love wrapping it up in the Peter Heater and might just want to show you his massive … um … gratitude. It’s fits most sizes, so odds are this fire red dong warmer will fit. If not, then buy two, you lucky girl. Yeah, sure ya are. We believe you. This isn’t just some attempt at attention at all. If you’re packing a long john down there, it’s still probably going to fit into the Peter Heater. If by some chance it doesn’t, then just buy a second and double wrap. We’ll get R & D on a Magnum version. Wow, we appreciate your honesty, and we’re not laughing at you all. Ok, maybe a little. It’s still going to fit you. If you find you have a little extra room in there, you can always stuff it, because the Peter Heater has a built-in drawstring to cinch it up as needed.